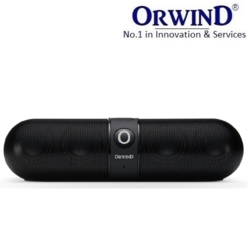 Owing to the efforts of our skilled professionals, we have been constantly engaged in offering a qualitative assortment of Bluetooth Speakers. The offered speakers can be connected with laptop, desktop computer, tablet, smart phone, etc. Using supreme quality components and sophisticated technology, the provided speakers are manufactured under the stern surveillance of deft technocrats at our vendors’ end. To ensure its functioning, these speakers are properly checked on different parameters according to the set industry standards. 1. Professional tuning button, the treble / bass / volume / Echo can be adjusted through this microphone. 4. 2600mAh battery is up to 5 hours of singing, enjoy the smart phone APP KTV karaoke effect. 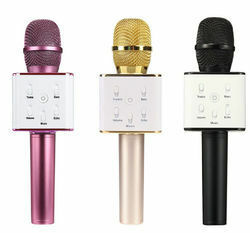 Product Size: 240*70MM / 9.5 * 2.8"
1.Connect the audio cable, plug in the micro USB port into pocket ,KTV and 3.5mm audio port into cellphone . 2.Open recording APP like KUGOU and follow the using process, start recording . P,S bluetooth will disconnect when audio cable plug in automatically. 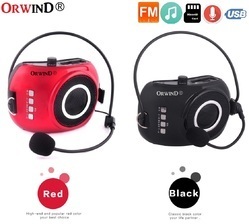 ORWIND LOUD SHOUT Portable Loud Speaker with Microphone - Voice Amplifier, with Natural Sound - Works as Speaker with Aux Cable - In built TF Card Reader and USB Drive - Ideal Voice Amplifier for Teachers, Instructors etc.